The subtitle of Will Price's The Arts man (1903) serves as the title of this catalog and the exhibition it accompanied. The catalog's organization reflects the dual nature of an international philosophy on life-style as well as art: eight essays focus on social history, while most art historical information is conveyed through over 200 in-depth catalog entries on decorative arts, architectural renderings, and clothing. Though text and 424 illustrations are admirably compressed into a single volume, printing brown-tinted photographs on shiny, off-white paper was not wise. 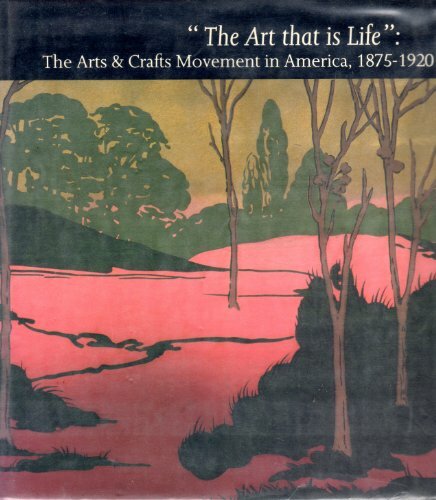 Highly recommended for American history and art history collections , this work replaces Robert Judson Clark's The Arts & Crafts Movement in America (1972) as the standard survey on the subject. Kathleen Eagen Johnson, Sleepy Hollow Restorations, Tarrytown, N.Y.